Dream Tale Puppets on December 2! 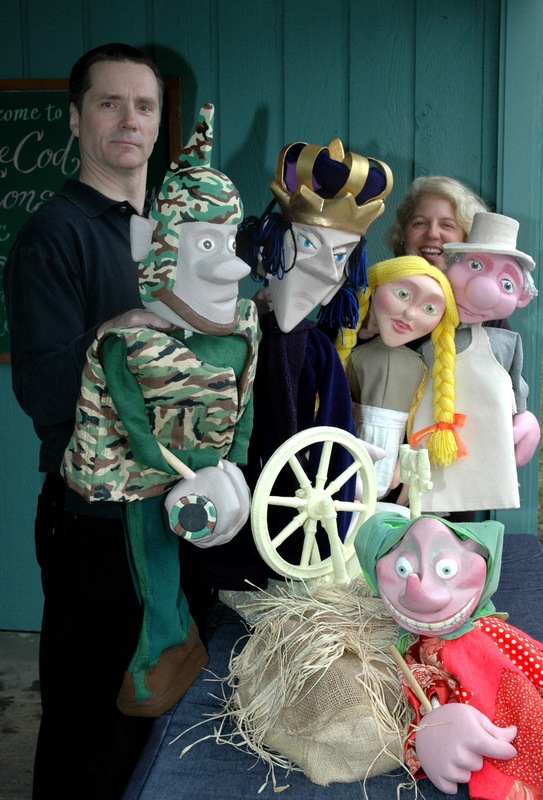 "Rumpelstiltskin" opens this winter's Puppets at Arlington Center for the Arts. Dream Tale Puppets spins a lively tale of gold and guessing games with rod puppets and playful antics. Puppeteers Jacek Zuzanski and Norina Reif bring a wealth of experience with theater and with children to their performance. 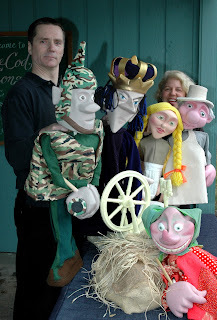 Learn more about them at Dream Tale Puppets. Please stay for coffee and puppet-play after the show. Tickets are $6, available at the door. To reserve tickets: E-mail Margaret at galapagospuppets@gmail.com, or call her at 781-643-1228, by November 30th. She can hold up to 20 tickets. January 12: "Trolls in the Kitchen" from Galapagos Puppets. February 9: "Monkey Wreaks Havoc in Heaven," Galapagos Puppets. March 9: "Badger Meets the Fairies," Galapagos Puppets. AND April 6: "The Kingdom of Riddles" with Sparky's Puppets!